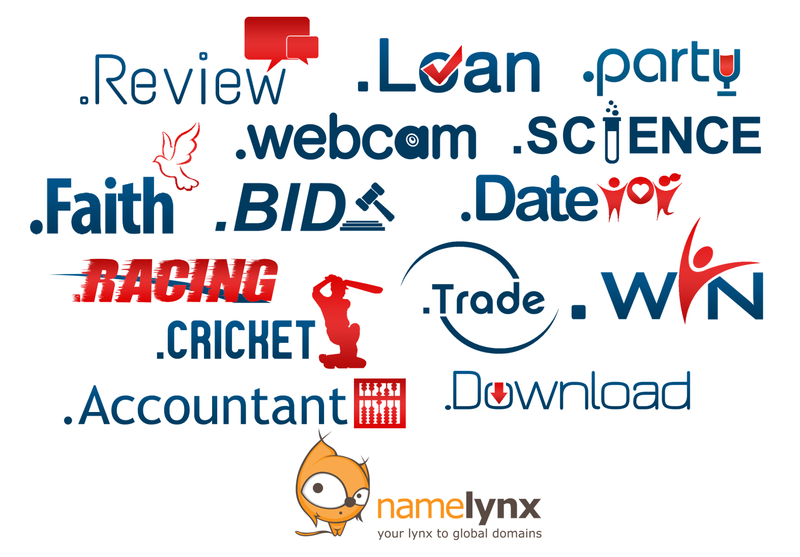 Namelynx - Your lynx to global domains: On Sale At Namelynx! Namelynx has a long list of great extensions on sale right now. For a limited time choose from .bid, .trade, .webcam, .party .science, .cricket, .date, .faith, .review, .win, .loan, .racing, .accountant, and .download for the low price of £1.50 / $2.55 / €2.25 / R38 for the first year. There is something for everyone in this deal! Don't delay, head over to www.namelynx.com and secure your unique domain name today! This deal ends 29 February 2016.